I have wanted to try my hand at making homemade vanilla extract for years, but I always forget to plan far enough ahead, since it takes several months. This past August, I finally remembered, and got it right this year!! All you need is quality vodka, and quality vanilla beans. Yep. That's it!! Then you combine, and let sit for a long time, shaking every couple weeks, until it is ready! I did a taste/smell test, and it really is just identical to the real thing I have in my pantry that I bought at the store. I was inspired by this post from Averie Cooks. These are the vanilla beans I used. I found they do mold eventually in the pantry, so only buy what you will use in a couple months. Amazon has a lot of great sellers. Make sure they seem like they will be fresh/moist. They are several different varieties of beans, which all have a slightly different flavor. I prefer the bourbon-Madagascar, but try any of them! For the vodka, I used an organic potato vodka, but you can use anything. Even Smirnoff or Sky may be just fine, but I leaned toward a bit higher quality vodka, just to ensure the final product was great. Slice the beans down the center, and scrape the beans out of the pod. Place the beans, plus the whole pod into the vodka. The more flavor added, the better! Use a good handful of vanilla bean pods for a bottle of vodka. I actually just poured off some of the vodka (into a cocktail! ), to make room, and then use the actual vodka bottle for my container, instead of transferring it into another jar or bottle. You want to store it in a dark blue or amber bottle anyway when it is finished, for optimal longevity, so I figured this dark blue glass bottle was perfect. Store it in a cool dry place until ready. Then, you can transfer into cute little bottles. I bought these 2 ounce round amber bottles, with lids on Amazon, and they are the perfect size. 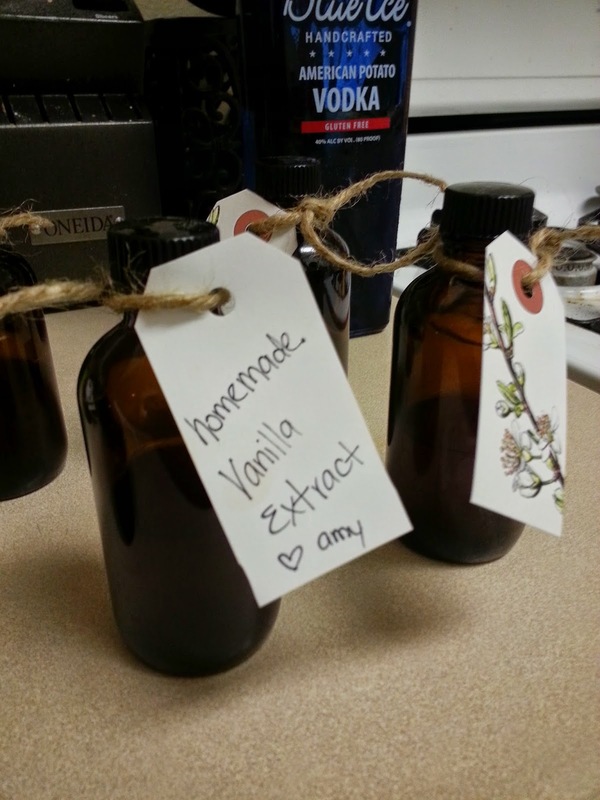 Making vanilla extract at home definitely is cost effective in the long run. Plus, they make great gifts! I found people to be pretty surprised to learn you can make the extract yourself! They loved the treat. 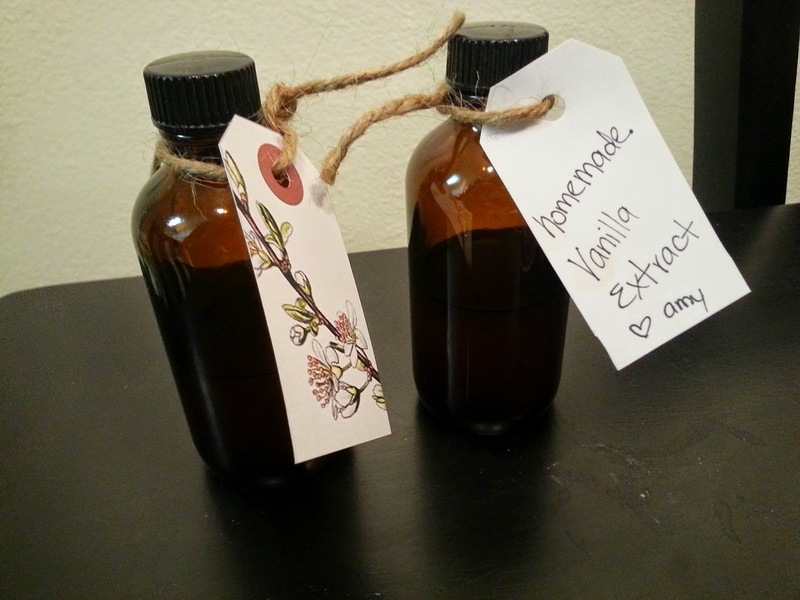 Vanilla is great for baking, and can also be used to flavor coffee, oatmeal (a tip from my Dad who received one of these bottles for Christmas! ), and you can also simmer some in water on the stove to make your house smell amazing! 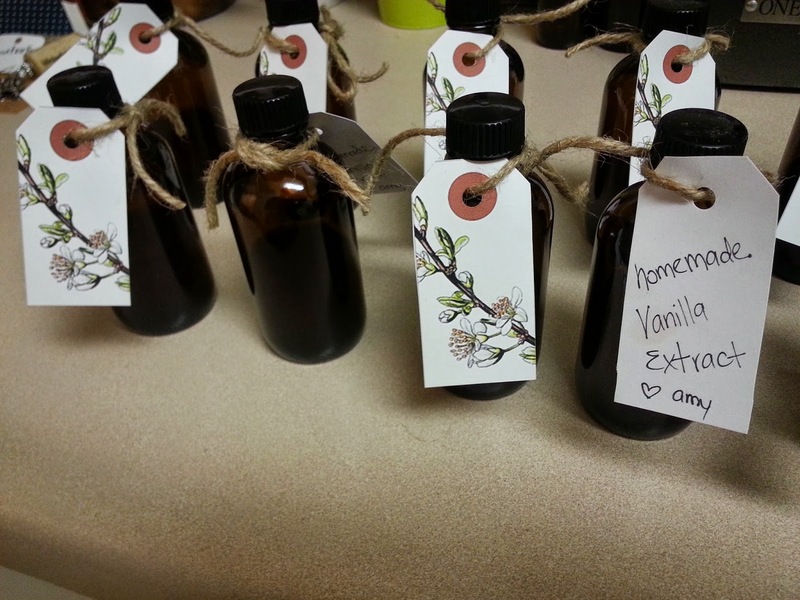 I found the perfect vanilla themed labels from Jessica at How About Orange! 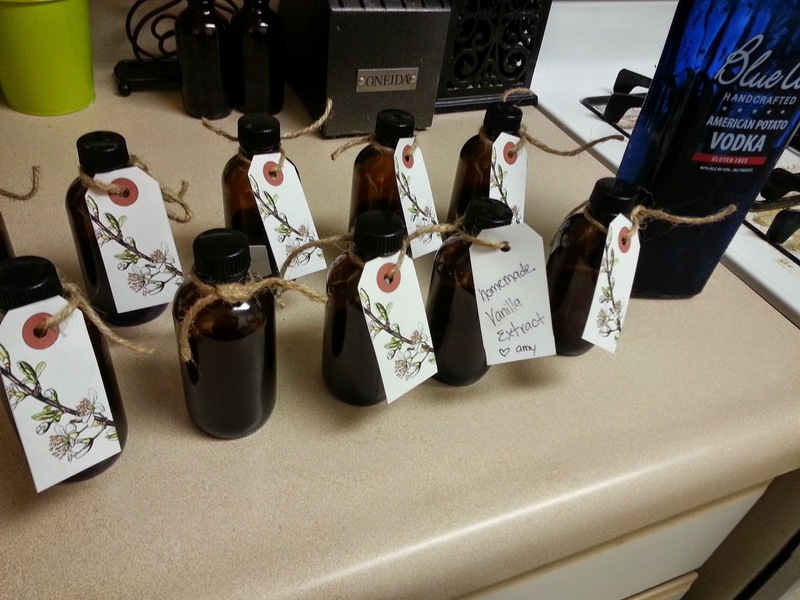 I only used the vanilla flower-looking labels, hole punched the center circle, and attached to the bottle with twine. Best of...Healthy Recipes for the New Year!